Order of the Arrow is Scouting’s honor society. 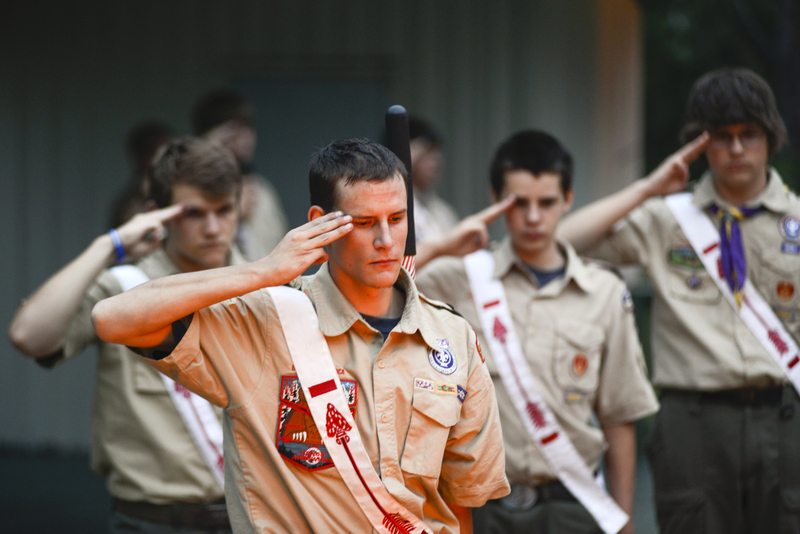 It recognizes Scouts and Scouters who best exemplify the Scout Oath and Law in their daily lives. This recognition provides encouragement for others to live these ideals as well. Members are known for maintaining camping traditions and spirit, promoting year-round and long-term resident camping, and providing cheerful service to others. OA service, activities, adventures, and training for youth and adults are models of quality leadership development and programming that enrich and help to extend Scouting to America’s youth. After registration with a troop, have experienced 15 days and nights of Scout camping during the two-year period prior to the election. The 15 days and nights must include one, but no more than one, long-term camp consisting of six consecutive days and five nights of resident camping, approved and under the auspices and standards of the Boy Scouts of America. The balance of the camping must be overnight, weekend, or other short-term camps. Youth must be under the age of 21, hold the Scouts, BSA First Class rank or higher, and following approval by the Scoutmaster, be elected by the youth members of their troop.